This is interesting, Andrew – all your own work? This is really just a cross post from my portfolio – I’ll write up a proper article about how we did this and can discuss it with anyone at UKGC11 who’s interested! I can’t take credit for development of the plugins we used but the concept and combination of resources was mine. 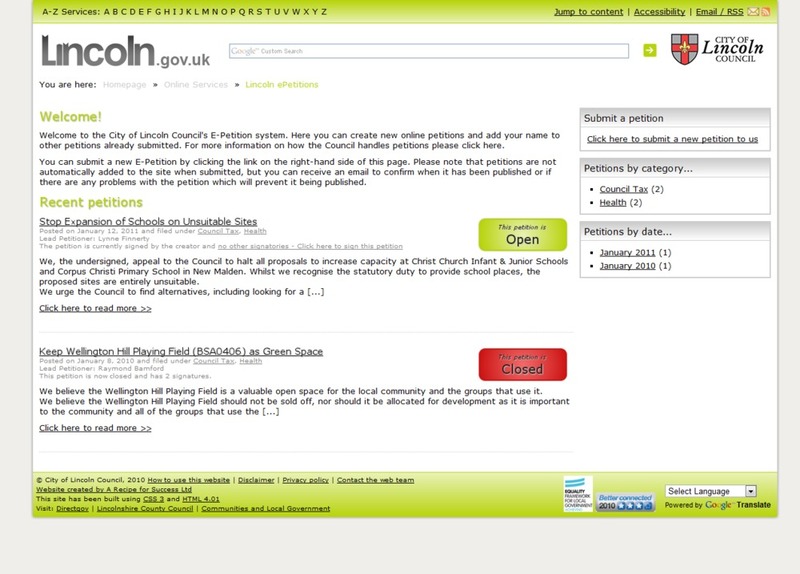 Yes, it’s a bit devoid of petitions at present but when it has something on there, it works a charm! Pretty impressive! I know many councils (including us) have gone down the off the shelf route in order to meet the government deadline. I’d be interested to see how you’ve used the WordPress functionality once there is a petition or two submitted.